We’ve come quite a distance from our organization’s modest beginnings. 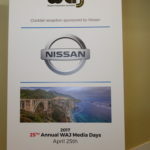 Back in 1992, the models of new vehicles outnumbered journalists, a third of whom were full-time media employees reporting on the automotive industry. Our fledgling event was one full day at Sears Point (now Sonoma) Raceway. Media Day became Days in ’94 when a day of driving in the Marin countryside was added. Some things never change- a big hit on the track in 1992 was Acura’s new NSX. History repeated itself this year with the all-new NSX winding around Mazda Raceway Laguna Seca. It seemed that every automaker required a fully completed vehicle loan agreement, so many of us were getting writers’ cramp while wondering if there wasn’t a better way. Perhaps a blanket hold harmless would meet the requirements of 25 or so legal departments. 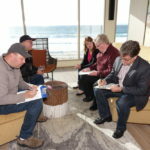 Pre-event DocuSign is another possibility. Of course, the good news is that the big stack of agreements meant that there were plenty of vehicles to drive. 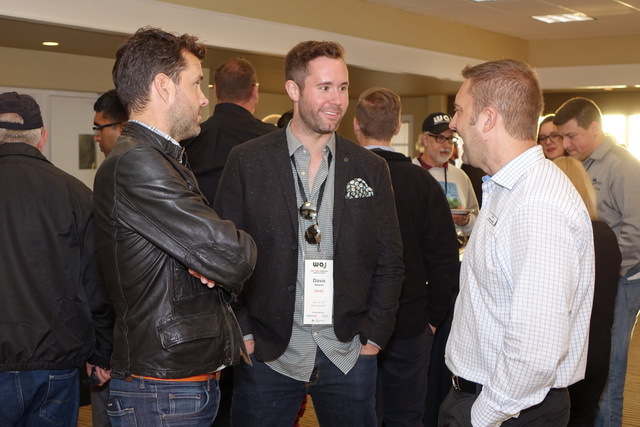 After the signing ceremonies and registration, attendees journeyed up to the Tides banquet room with a great view of Monterey Bay and a casual reception sponsored by Nissan. A full bar was available for drink tickets. Beef and pulled pork sliders complemented the hors d’oeuvres spread for a light dinner. 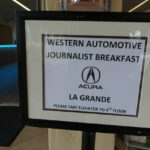 Media Days participants returned to the Tides banquet room Wednesday morning for breakfa st sponsored by Acura and Honda. 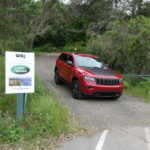 Page One’s Stuart Langager described the day’s activities; driving from the Tides to Carmel Valley’s Quail Golf Club for street and off-road drives. Route guides with group numbers were passed out to journalists who proceeded out to the parking deck to pick a vehicle. The backbone of Media Days participants are the OEM automakers, bringing scores of vehicles to evaluate. 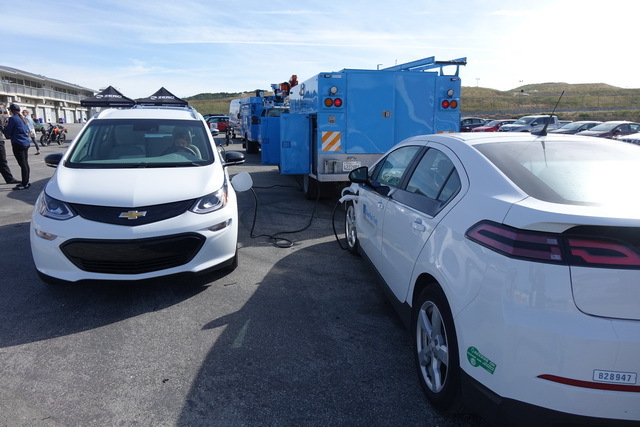 This year, we added mobile charging trucks from Pacific Gas and Electric to maintain the number of electric and plug-in hybrid vehicles at the event. 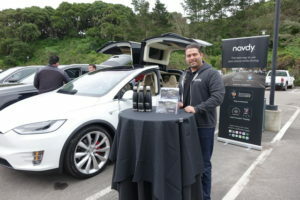 Navdy, the technology company that produces hi-tech heads-up displays arrived with a Tesla Model X and two Audi SUVs for active demos of their new device. 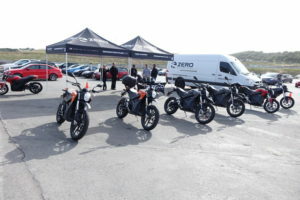 The Steel Market Development Institute, sponsors of Wednesday evening’s banquet, were on hand with a display and Zero electric motorcycles brought their new lineup for testing at Mazda Raceway’s paddock and nearby roads. The Quail is a splendid location for our combined on and off-road evaluations. 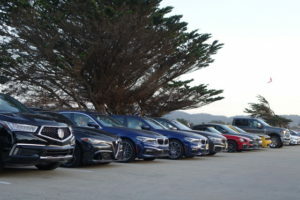 Road drives departed from the Quail and made a loop over nearby Laureles Grade or alternatively, over to Highway One and the iconic Bixby Bridge. Weather was picture perfect for both the drives. 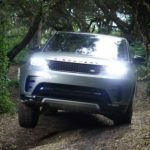 Along with gr eat road drives, Land Rover, hosts a surprisingly challenging off-road course right at Quail. 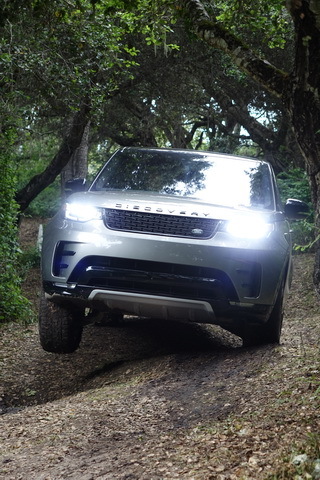 The mix of trails accommodate everything from crossover to trail-rated 4 X 4s and they’re short enough for testing a variety of vehicles. 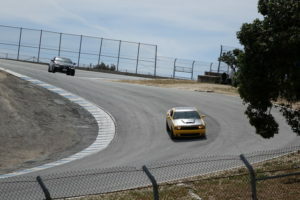 Before this venue, off-road testing was a separate event at Hollister Hills. 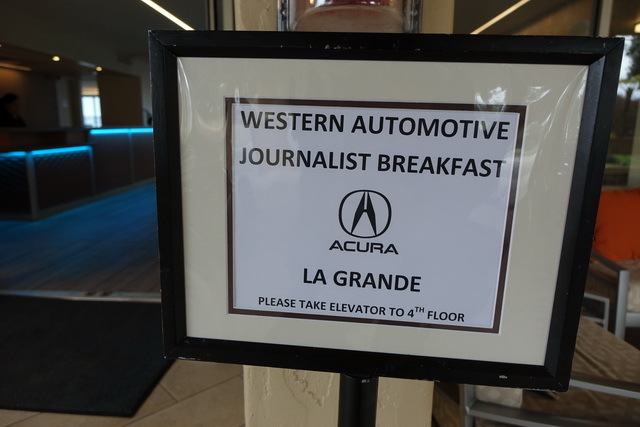 At noon, we walked over to the Quail Golf Club for a Toyota and Lexus sponsored lunch. Douglas opened a presentation with a remembrance of our good friend Terry Page, founder of Page One Automotive, who recently succumbed to cancer. 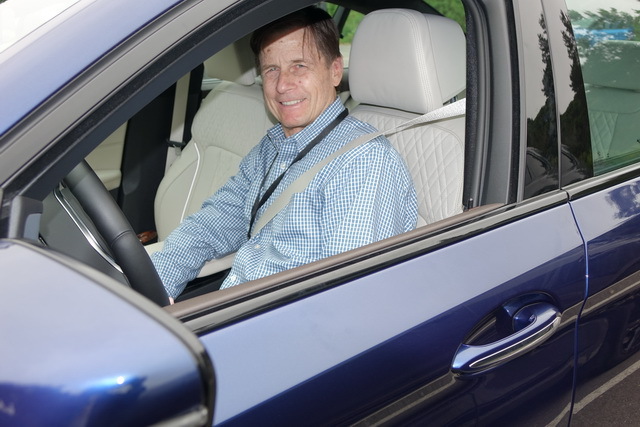 Terry was well known and admired in the automotive community and will be dearly missed. Mazda Raceway Laguna Seca’s Gill Campbell followed with a presentation about the new plans for Laguna Seca Recreation Area and the world-renowned racetrack. We look forward to facility improvements coming soon. Fiat Chrysler Automobiles (FCA) is a generous sponsor of Media Days and led our banquet with an interesting product presentation from FCA executives. 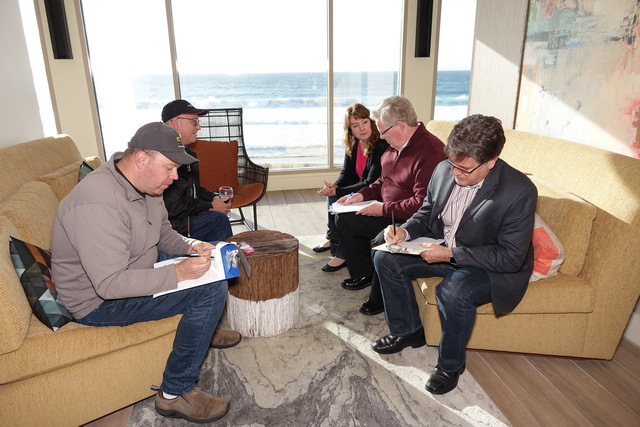 Since our host hotel is literally on the Monterey Bay beach, our organizers had planned to stage a Jeep presentation right on the beach around fire-pits. The area next to the hotel is appropriate for this use and all permission s were in place. But an eco-sensitive chap walking his dog became apoplectic when two new Jeeps began to drive from the lot onto the sand. He threatened to film the “outrage” and go public on social media. So the PR executives moved the presentation back to the outdoor parking structure. 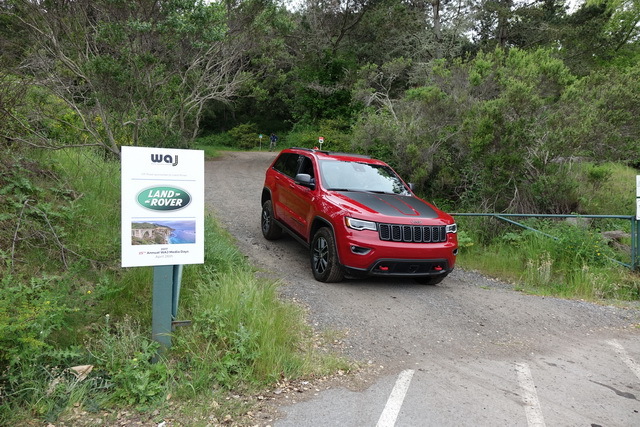 And the all-new Jeep Compass made a fine appearance without the full beach sand setting. 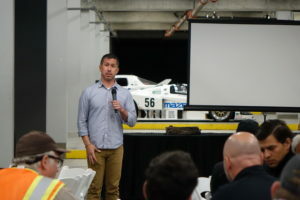 Our banquet included a presentation from Dave Anderson of the Steel Market Development Association that incorporated a dramatic film of an offset crash test with a sixties Chevrolet colliding with a 21st Century model. It was pretty graphic proof that engineering and new steel alloys keep us far safer than the old school vehicle’s mass. 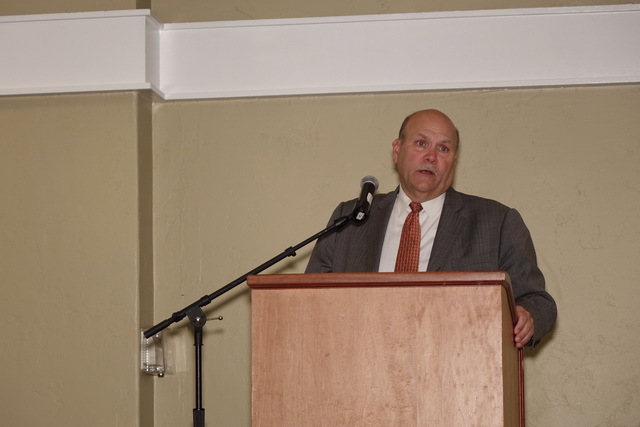 Anderson’s presentation was followed by PG&E’s Dave Meisel, Senior Director of Transportation Services who spoke about infrastructure support for electric vehicles. The good news is that there’s lots of electricity available in our grid as well as residential and commercial solar installations. Our silent auction contained great products, from a complete leather interior by Katzin to a couple of Navdy heads-up systems and stereo gear from Harman. Funds raised go directly to WAJ’s scholarship program. 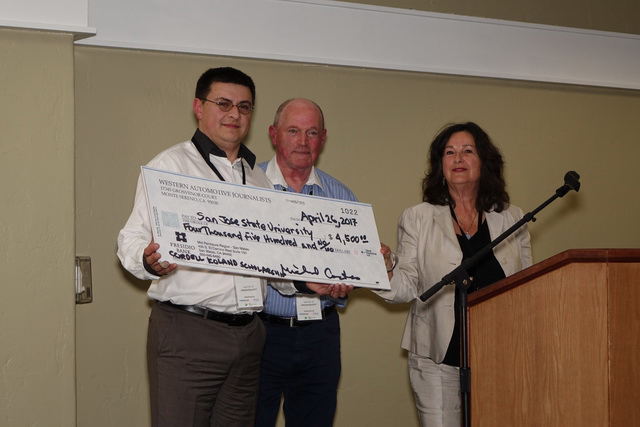 And this year, we disbursed $4,500 to our Cordell Koland Journalism Scholarship at San Jose State University. WAJ Executive VP Alex Dykes presented the check to Professor Christine Di Salvo, representing SJ State’s Journalism School. The gift will fund three scholarship grants at the school. After the banquet, Mercedes-Benz hosted an afterglow gathering in the Tides Lounge. 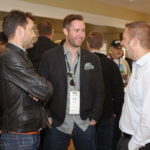 newly hired CEO of Zero Motorcycles, sponsor of the breakfast. Sam gave an entertaining and informative talk about his riding and executive history and his vision of electric motorcycles entering the mainstream. 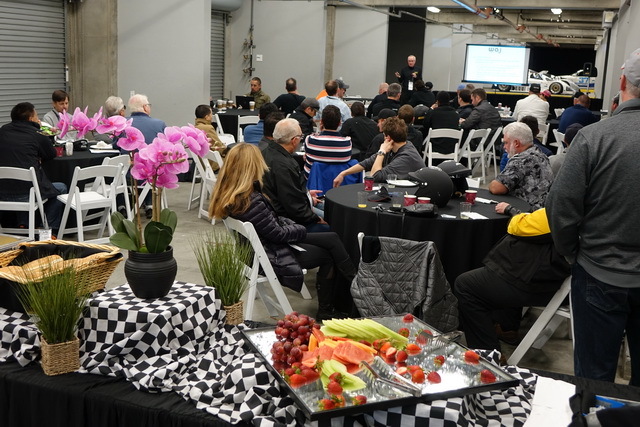 This year, driving opportunities were nicely balanced between performance category vehicles on the race track and a wide selection of vehicles, including Zero motorcycles, available for road loops. 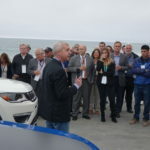 PG&E brought their remarkable Class 5 PHEV truck that is not only a unique hybrid vehicle, its generator can provide power for up to 100 homes in an emergency. Charging a handful of EVs at the track was as easy as recess for this rig. 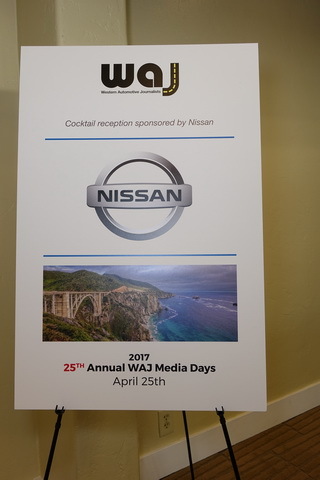 The 25th annual WAJ Media Days was very successful, thanks to our sponsors, volunteers and attendees who evaluated a score of cars without incident. Let’s do even more next year! 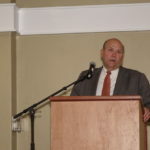 This entry was posted in Member Articles, Past Events, WAJ News by Brian Douglas. Bookmark the permalink.